"esa" - Employment Screening Associates is a full service, international research company specializing in pre-employment services. All of our research is collected promptly with an unparalleled attention to detail, accuracy and communication. esa obtains all information directly from the source; going directly to the courthouse in the jurisdiction wherever allowed. THESE ARE NOT DATABASE SEARCHES!!! 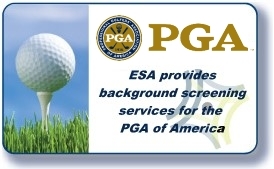 esa focuses on the partnership with our customers who represent a rich array of services, sizes, and industries. We understand the vital importance of human assets - people ultimately make, or break, the business. Since 1991, esa has been protecting our customers' valued investment in these assets to ensure the highest degree of quality for the organization. We also appreciate the need for dynamic organizations to garner corporate intelligence. Diversified industry base including: Service companies, manufacturers, insurance, healthcare, advertising / marketing, retail, property management, financial services and many others.